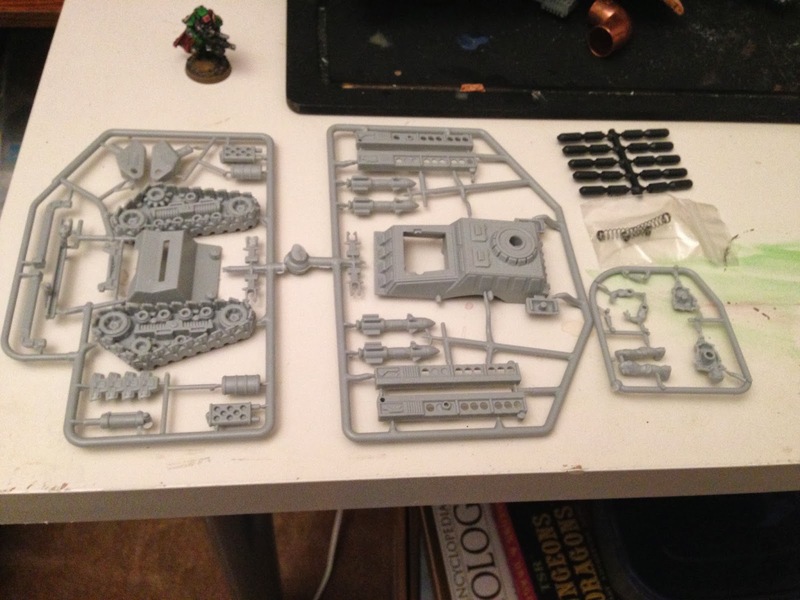 Kris Wall Minis: Grot Tank Conversions Incoming! 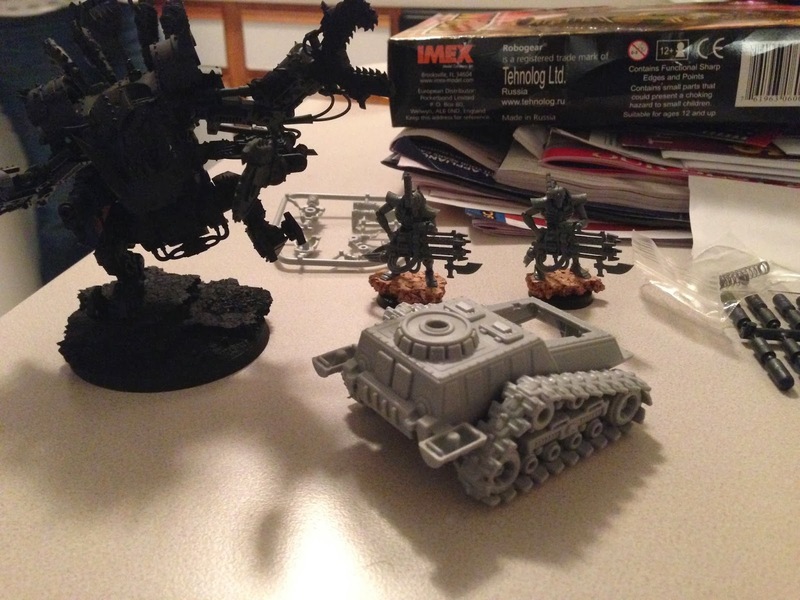 As a part of my ongoing effort to build an Ork Dread Mob army, I've decided to add some Grot Tanks to my collection. 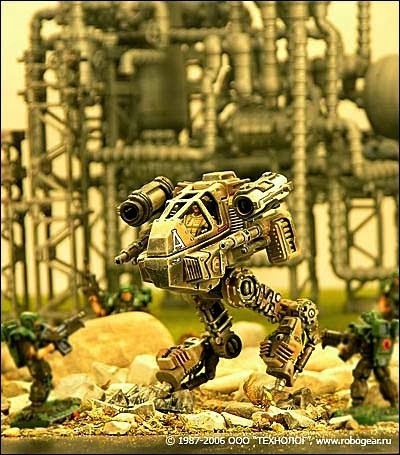 Unfortunately, I don't feel like spending $$$ on the official Forgeworld models, so I'll be converting my own. 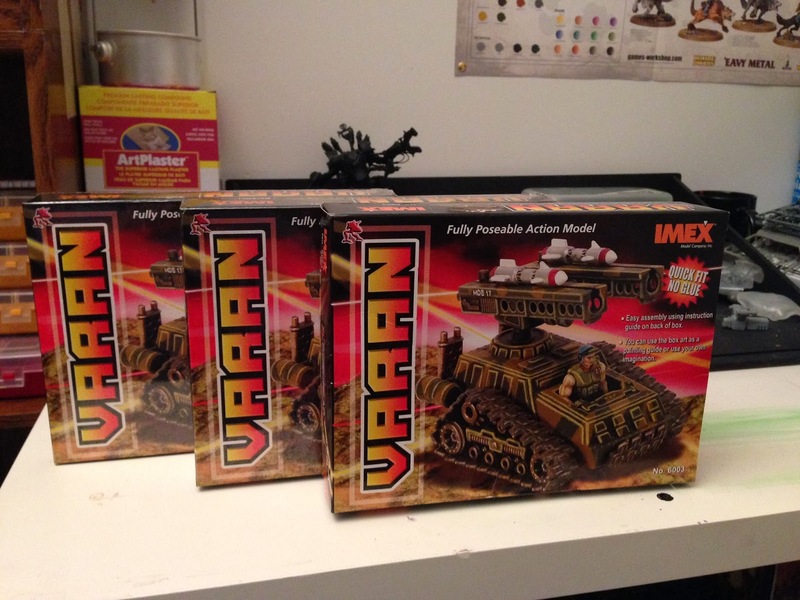 I found these cool mini tank looking things from a Russian gaming company called Robogear and ordered three off eBay. I really will just need to come up with some sort of Orky turret, glue on some glyphs and haphazard armour panels and I'll be good to go. I'm so pleased with the way these look that I might go ahead and buy three more. The T-Rex model they sell has a lot of promise. I might get a couple just for fun. These things are less than 10 USD with shipping included off eBay. This is what I actually got in the mail today. 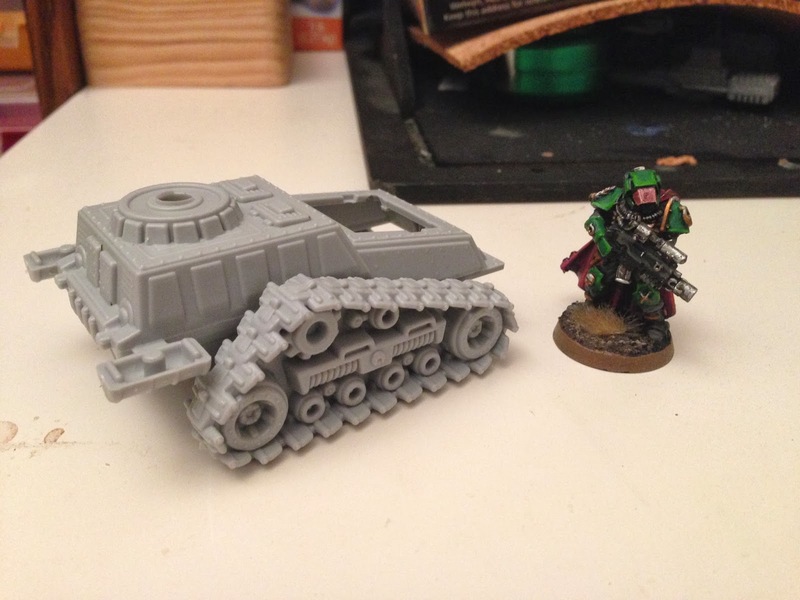 As you can see, the model will be a good size for the Grot Tanks. The "I'm Totally Not Telion" Scout Sarge agrees! Obviously I have a lot of work to do, but these will make an excellent base.